1. Play that song collection on your local computer using any media player like iTunes or Windows Media player and stream that music live to your IM buddies. 3. Dedicate a music video on Youtube to your valentine and it will stream live to her computer as audio via Google Talk. 2. 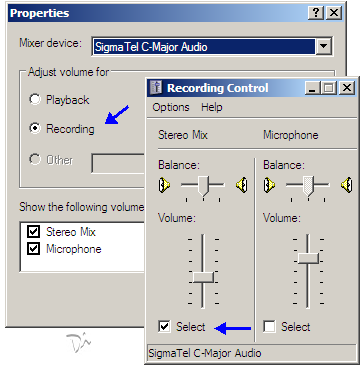 Now select "Adjust volume for Recording" and click the OK button. On the next screen tick the check box next to Stereo Mix (deselect the Microphone check box if it's selected). That's it. Now start iTunes or open your favorite video on Youtube or any video sharing site. Click on the GTalk contact who you want to dedicate that song to and click Call. Simultaneously hit the play button in your media player.